IPG Real Estate is always at the leading edge of pioneering innovative solutions for our clients worldwide especially in today’s rapidly changing and competitive global market place. Our focused, innovative advice helps you gain a competitive advantage and successfully implement your real estate activities in markets across the globe. Our commercial property consultants can intelligently use local market knowledge to help you achieve your real estate strategy faster and with high quality results. Our professional experts keep their pulse on real-time market conditions to optimize your returns throughout global markets. They will support your business objective in an efficient and cost effective manner, every step of the way, helping you achieve your project goals. George Donohue (second from left) has over 30 years experience in International Business transactions. 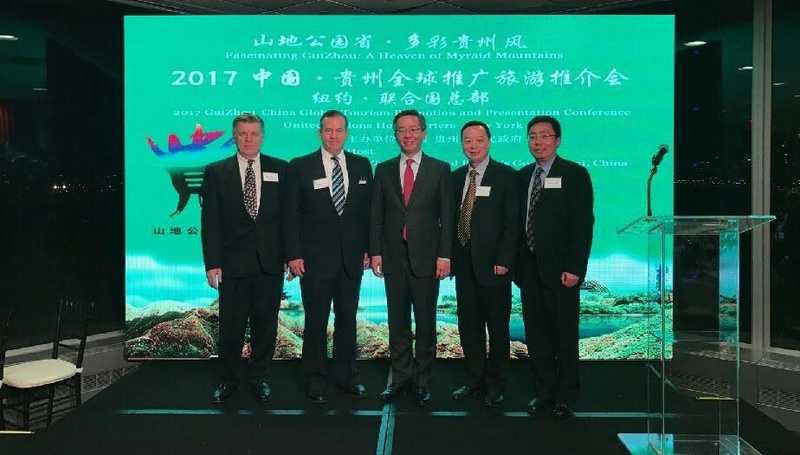 This photo shows Mr. Donohue and Keith Radhuber (left) attending a special meeting with the Governor of Guizhou (Center). The event was held at the United Nations in June 2017.